Cara Santana looks pretty as a petal in the yellow floral dress. Cara Santana commanded attention as she led the celebrities on the red carpet at French luxury Laduree at The Grove on Tuesday. For the event, Santana wore a yellow floral outfit which featured a plunging neckline. The dress hugs her properly and enhances her curves very well. The 35-year-old actress accessorized her look with dangled earrings, white shoes, a see-through clutch, and of course her incredible engagement ring. Middle parted with a slight wave hair and minimal makeup completed her look. Meanwhile, the red carpet brought out the shining stars to Bloggers Who Brunch. Yola Robert looks stunning in pink in a chic suit, whereas Alex Georgy rocked a black and white ensemble. 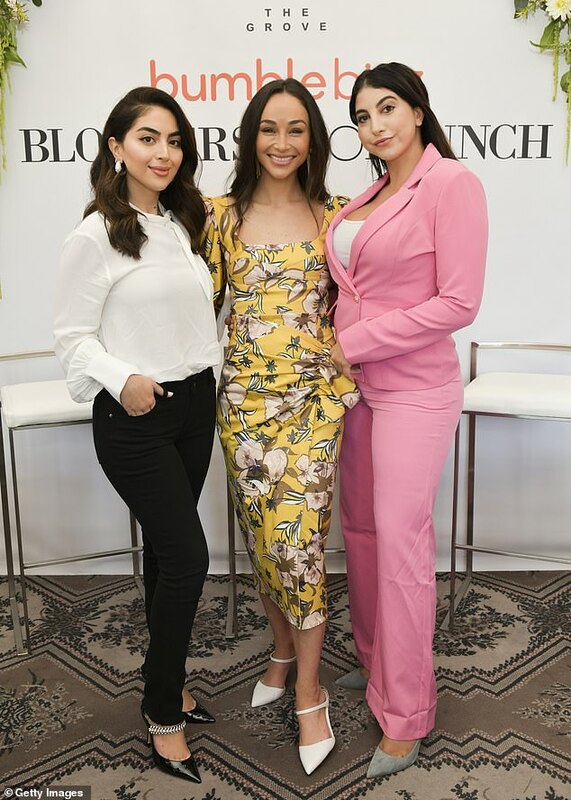 Cara Santana with Yola Robert and Alex Georgy at Bloggers Who Brunch event. Not pictured in the event was the fiance of Cara, Jesse Metcalfe whom she has been dating on and off for almost 13 years and engaged in 2016. Earlier, Santana was spotted with her BFF, Olivia Culpo. She opted for an oversized statement dress with the no-makeup look. Cara Santana and Olivia Culpo spotted for a girl's night out. While her friend wore a tiny pair of leather shorts teamed with thigh-high boots. She ensured the emphasis was on her toned legs, covering up in an oversized white shirt.